Several Saudi royals and religious leaders have laid into the United Arab Emirates’ envoy to Washington for comments hinting at the establishment of secular governments in the Middle East including Saudi Arabia, a kingdom governed by the Sharia law. Youssef al-Otaiba, in a diatribe against Qatar, in an interview with US TV network PBS on Saturday, noted that the expectation is to see secular governments taking over from Islamic regimes in the region. “What we would like to see is more secular, stable, prosperous, empowered, strong governments,” he said. “In the past ten to 15 years, we saw Qatar supporting groups such as the Muslim Brotherhood, Hamas, Taliban and the Islamic militias in Syria and Turkey. This is the opposite direction which we want the region to go,” he added. Saudi Arabia, United Arab Emirates (UAE), Bahrain and Egypt have severed ties with Qatar, early June, accusing it of supporting terrorism. Rejection of the UAE ambassador’s remarks was not long to come. 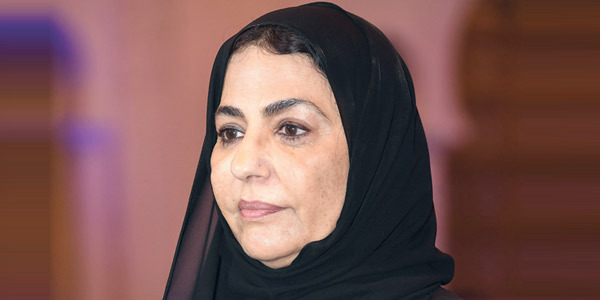 Saudi Princess, Fahda bin Saud bin Abdulaziz, a daughter of late King Fahd bin Abdul Aziz claimed that al –Otaiba’s remarks were evidence of a conspiracy against the kingdom, adding that royals and religious leaders of the kingdom are ready to confront it. “There is a conspiracy against Saudi Arabia and Islam and this has become clear in the world,” she said in a tweet. “There are those who call for secularizing the country of the two holy mosques and those who call for internationalizing the country with the two holy mosques, but we the people of Saudi Arabia and its leadership will protect the two holy mosques,” she added. Another Saudi royal, Prince Abdul Aziz bin Fahd, the son of King Fahd bin Abdul Aziz lambasted the Emirati envoy, calling on Muslims to bar the move. “Every Muslim who believes in God, his religion and Mohammed must fight secularism and liberalism with advice, then with the statement and then with the blade under the banner of the Custodian of the Two Holy Mosques,” he wrote on Twitter. Al-Otaiba is said to be close to Mohammed bin Zayed, Crown Prince of Abu Dhabi who is also said a strong ally of Saudi Crown Prince Mohamed bin Salman. Posted by KanelkaTagba on Aug 1 2017. Filed under Gulf News, Headlines. You can follow any responses to this entry through the RSS 2.0. Both comments and pings are currently closed.